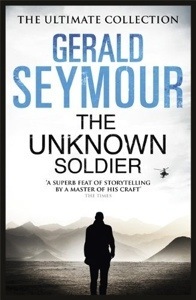 The reissue cover design for The Unknown Soldier has appeared on Amazon UK. The new edition will be published on 1 August 2013. The first four reissue covers have appeared on Amazon UK for Harry’s Game, Condition Black, The Fighting Man and The Waiting Time. They all have “The Ultimate Collection” across the top and Harry’s Game has a new foreword by Robert Harris. 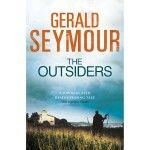 On an earlier post I had the publication date for The Outsiders in paperback as happening in August. According to Amazon UK it is now 25 April 2013, so not long to wait. Here’s the latest cover image for the paperback. According to Amazon UK the following five Gerald Seymour books will be reissued by Hodder paperbacks on 21 November 2013. This is in addition to the five books already listed for the reissue treatment earlier in the year. 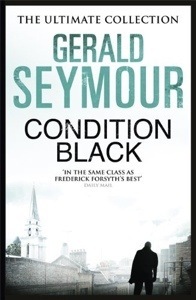 A visit to Amazon UK tonight yielded the title and cover image of the next Gerald Seymour novel. The book is currently titled The Corporal’s Wife and the cover image can be seen below. He will tell MI6 the secrets of Iran. If they can get his wife out. And that’s impossible. Interesting. I am immediately reminded of The Contract. The publication of the book is still set for August. That’s a good long way away so don’t be surprised if the cover and title change in the meantime. The cover image itself is interesting as it harks back to the “character” covers that Transworld used from The Untouchable onwards. I thought it might be worth looking at Amazon to see what 2013 has in store for us. First of all the reissues appear to have been moved back. 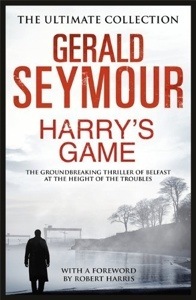 Harry’s Game is now due out on 20 June 2013. The remaining four reissues follow on 1 August 2013, namely The Unknown Soldier, The Waiting Time, Condition Black and The Fighting Man. 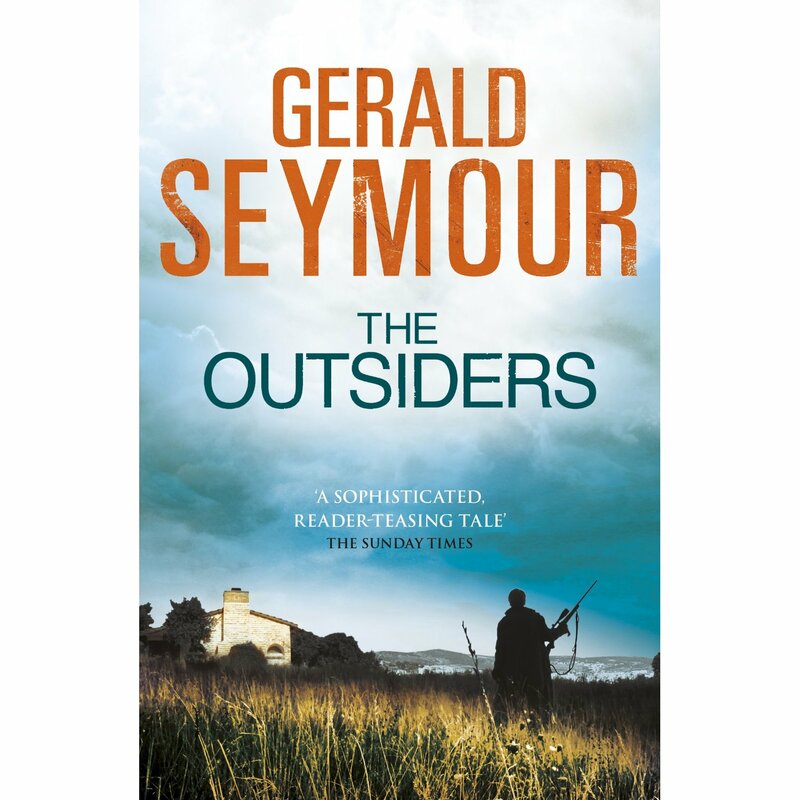 Last year’s new novel, The Outsiders, gets a paperback on 29 August 2013. 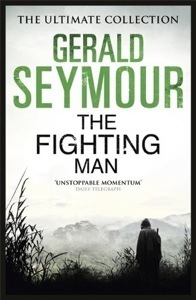 A new “Untitled Thriller” by Gerald Seymour is listed for publication on 15 August 2013 in hardback. By my count it will be the thirtieth! Finally the 2008 novel Timebomb will get published in the USA on 30 July 2013. All this is of course subject to change but it gives us a good idea of what to expect. I’ve added the final six novel pages to the WordPress platform. Phew. 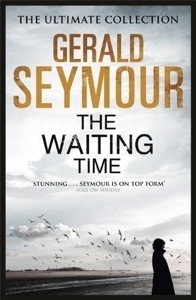 A quick look at Amazon.co.uk tells me that Hodder Paperbacks are reissuing five Gerald Seymour titles on 23 May 2013. The five titles are Harry’s Game, The Unknown Soldier, The Fighting Man, Condition Black and The Waiting Time. There are no cover images yet but hopefully they will match the other Hodder books. I’ve added three or the remaining nine pages to the WordPress platform. The end is in sight. Plus you will find that www.geraldseymour.co.uk works as an address pretty well. 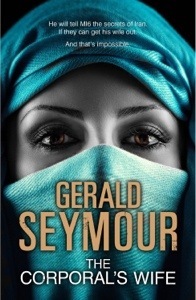 I’ve added the pages about the five most recent Gerald Seymour novels to the WordPress platform. Just nine more left to do.